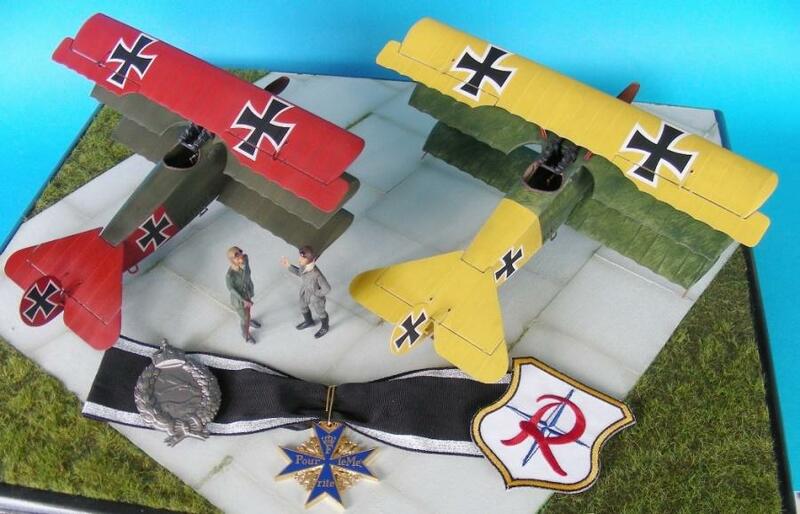 In memory to the Fighters Pilots, Manfred and Lothar Freiherr von Richthofen. 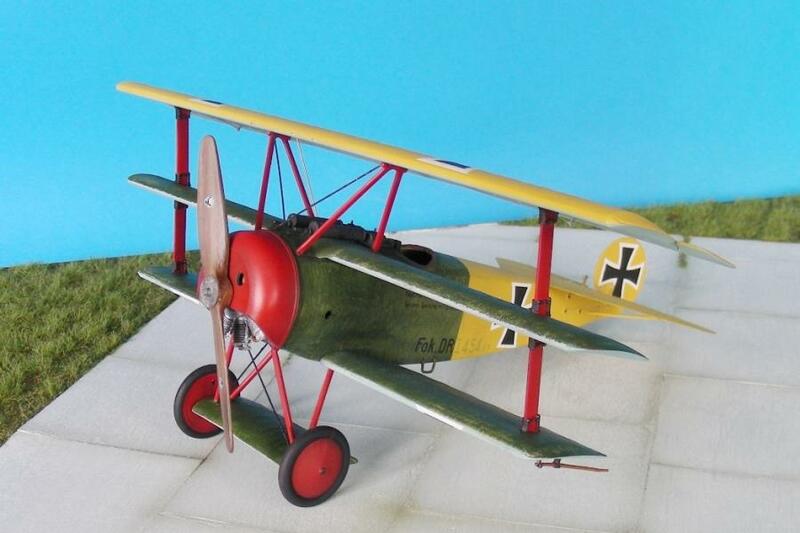 You Can Find This Fokker On Amazon! Nice work! 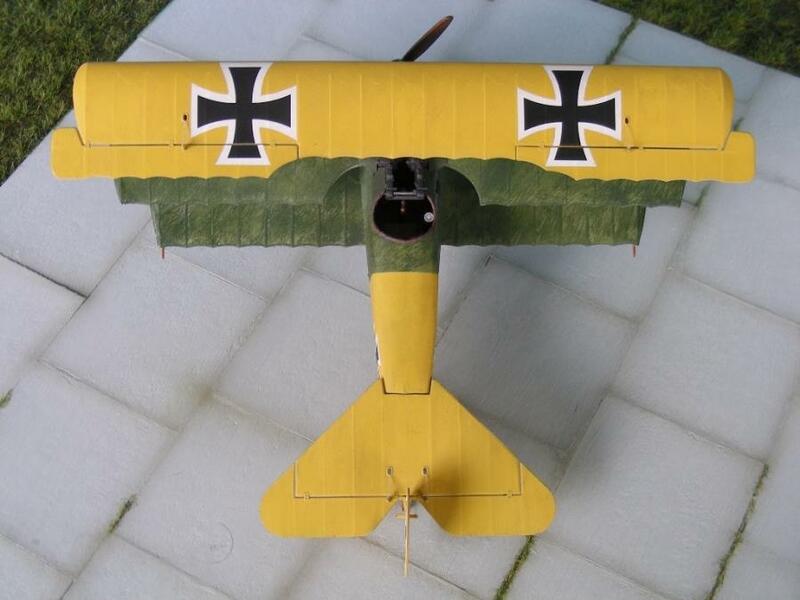 Good to see Lothar’s plane done. 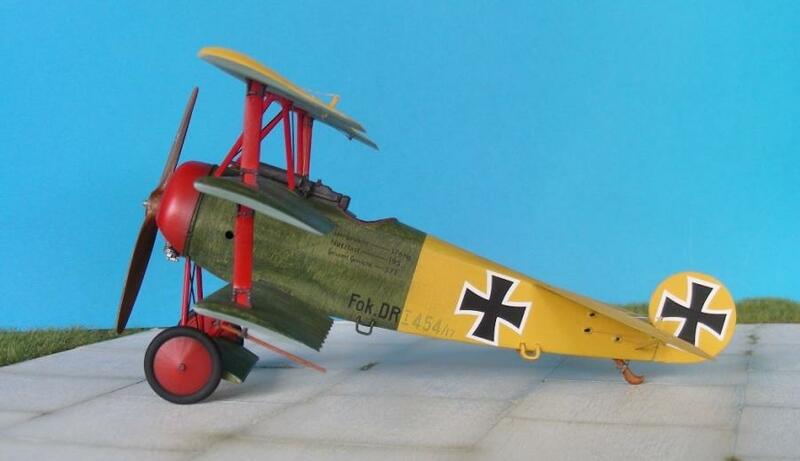 One of these days I’m going to model it using the 1/32 Roden kit in my stash. Really nice job with the tri-planes. 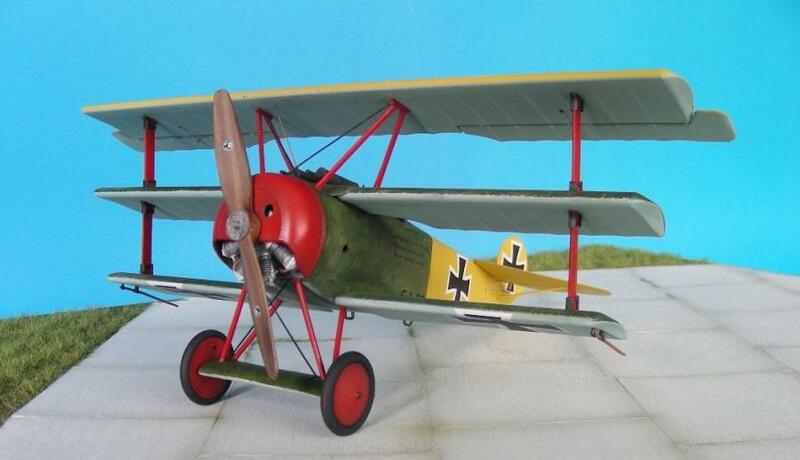 I destroyed a few of those old Revell kits as a kid trying to build a plane with fragile struts and 3-wings. Nice to see how great they look with a skilled builder. Really nice paint and camo job. Nice job. Built one many years ago. 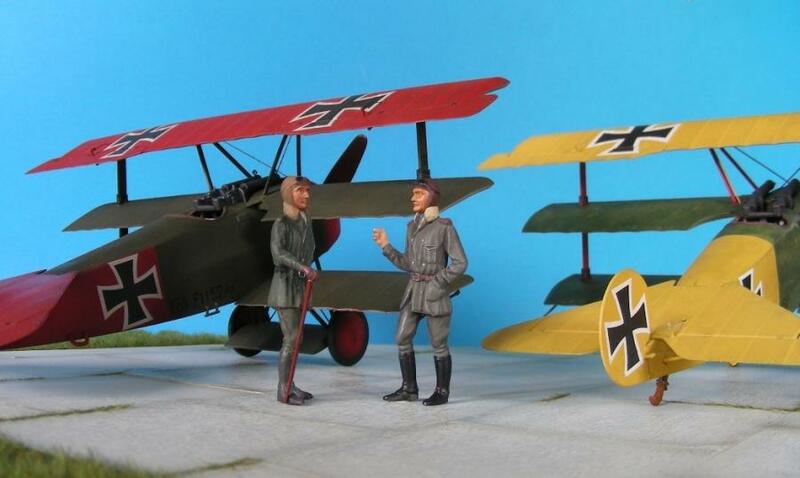 Very colorful display, Hans….good lookin’ little dio. 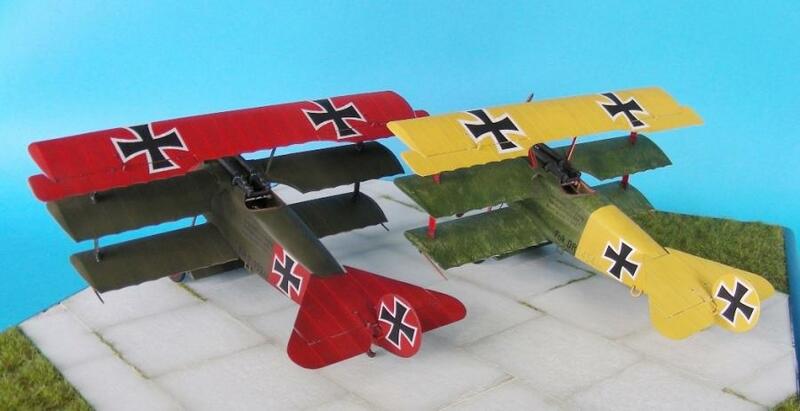 Neat to see a Tri-plane done as the Red Baron that has not been painted all “Red”, Von Richthofen flew more than one Tri-plane. 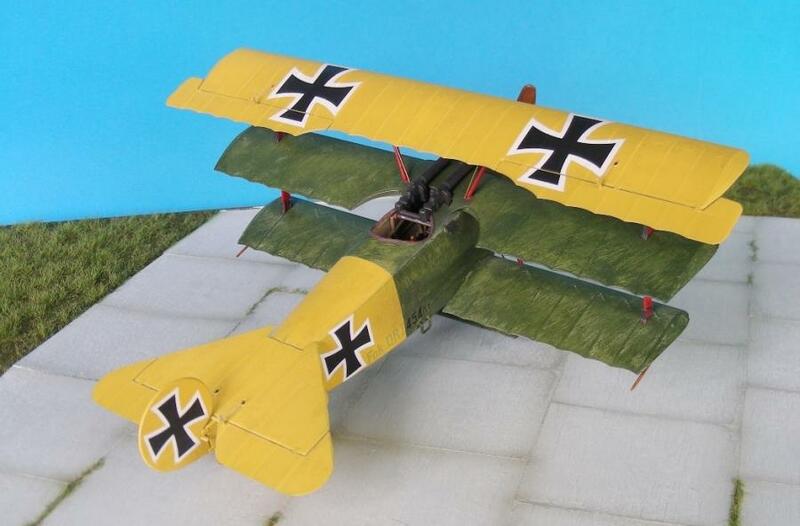 Which begs the question did his brother fly a all Yellow Tri-plane at some point? Some neat classic’s Hans. 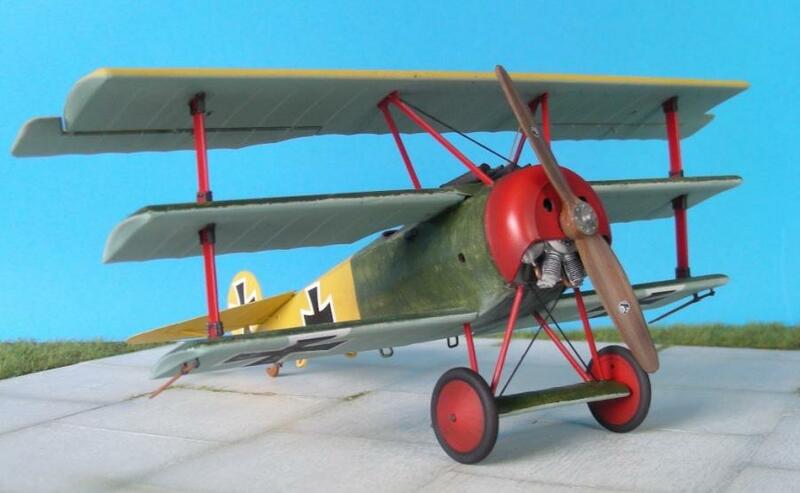 The Revell Tri-plane, the Camel and the S.P.A.D. where all great kits for the time. Its too bad that they stopped with the three types. Well done. 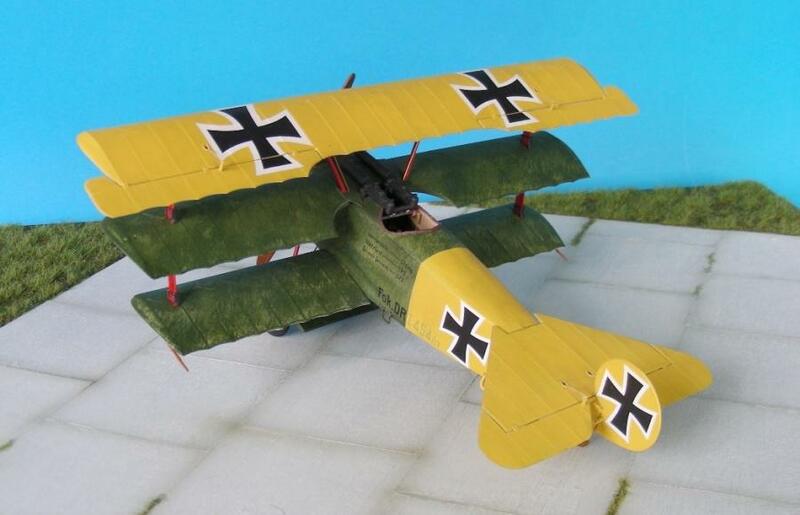 I especially like how the yellow paint is thin, almost transparent on Lothar’s machine. From what I have read about the original, it was the same way. 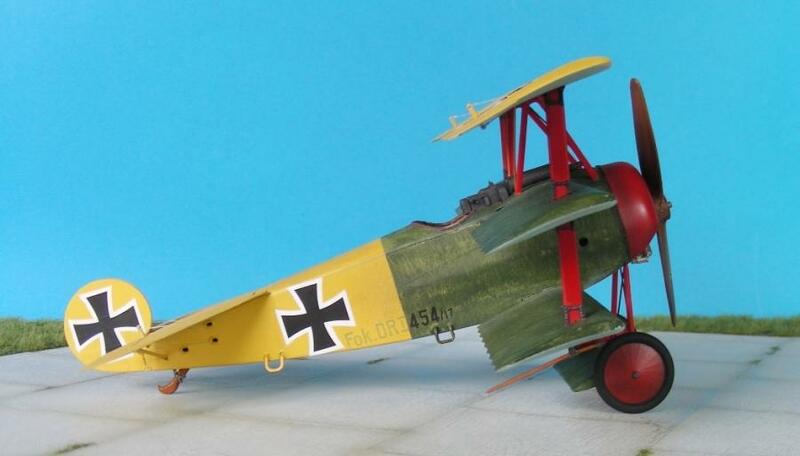 These old Revell 1/28 scale kits bring back some fond child hood memories………… I recently adapted one of these into the early “F-1” mount of Werner Voss. The display base is very nice too. 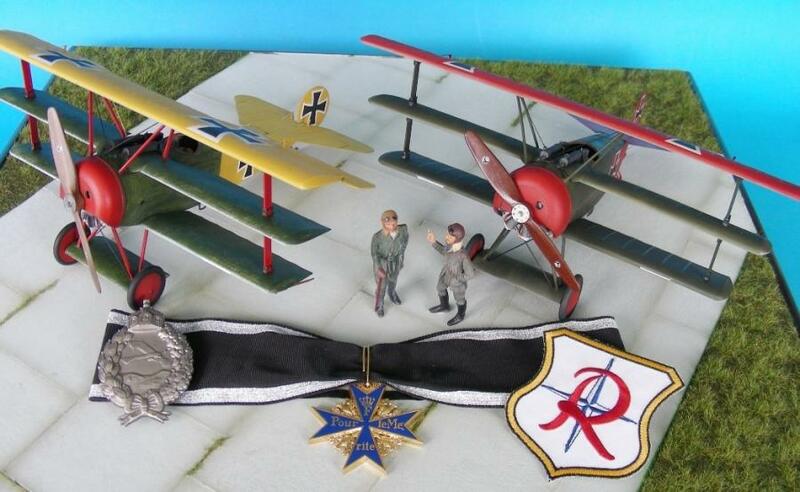 Including the appropriate medals (especially the Blue Max), and a JG 2 Richtofen Unit patch are spot on. Two thumbs up Sir !!! A great looking little dio! Nice to have something not done too often. A finished well. Exceptional work using some ancient kits. Nice display. Both are excellent builds of a classic kit.